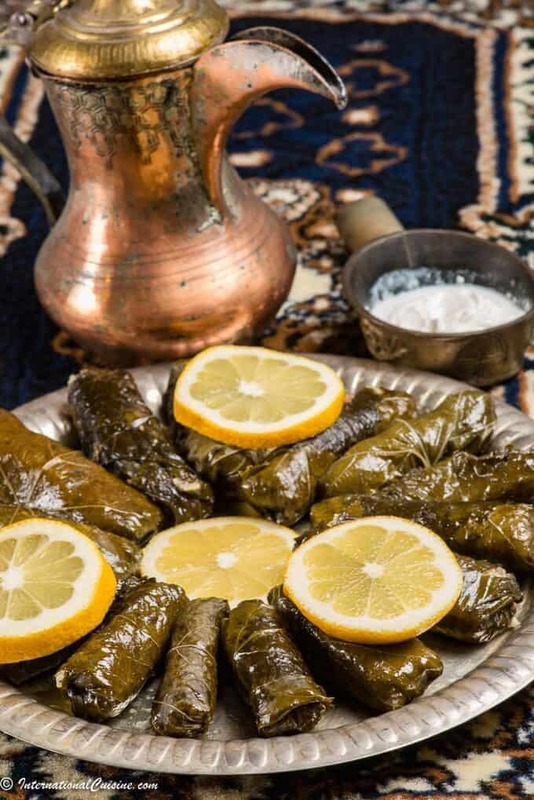 Qatari warak enab are little bundles of stuffed grape leaves. These are popular in many places of the world and Qatar is no exception. I made these little savory bites with sweet lamb and millet. They are fun to make and perfect to get the kids involved to wrap them up. There are so many variations for stuffed grape leaves. You can make them with just about any grain or rice, whatever types of meat you like and spices. They also are often made vegetarian like we made for our Armenian meal. 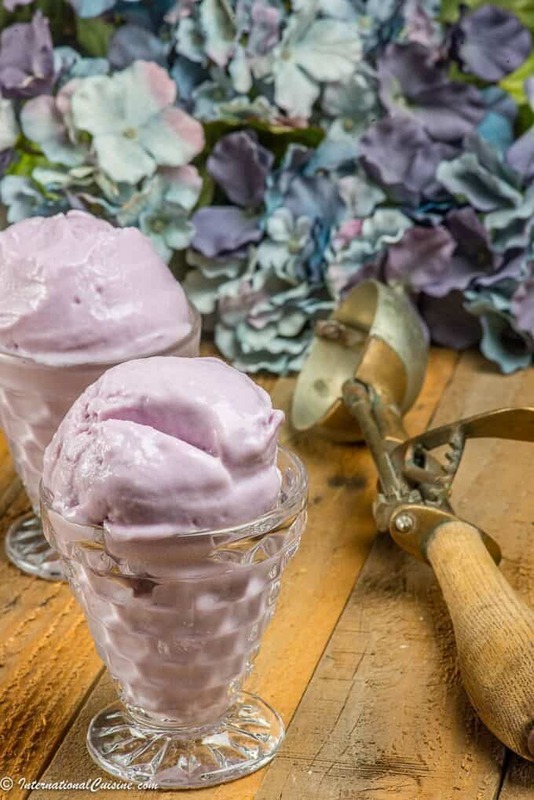 You can simply use this recipe as a guide and you really can’t go wrong. You can find grape leaves in a jar at most stores usually in the pickle section or you can pick some up here. Please note that they need to be thoroughly rinsed before using them. Additionally, they are wild grape leaves not the type you find at your local grape vineyard. So if you happen to grow your own grapes you would not want to use those leaves. 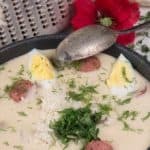 This Qatari warak enab recipe is completely plant paradox compliant as it is made with grass fed lamb and millet. If you want to make an authentic dipping sauce just mix together a little fresh minced garlic with a dash of ground cumin and mix with yogurt and serve with the Qatari warak enab. If you would like to learn more about this little wealthy nation of Qatar be sure to check out “Our Journey to Qatar“. Gently separate and wash the leaves, stack them on a plate and set them aside. You can cover them with a damp cloth so they don't dry out. Add millet or rice to the ground lamb along with the remaining 1 tbsp olive oil and ½ tsp of salt, AllSpice seasoning, cinnamon and black pepper, and mix well. 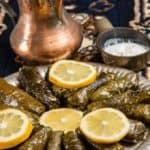 To stuff and roll the grape leaves, lay a grape leaf flat on a cutting board, scoop out a heaping teaspoon of the mixture into the center of the grape leaf, and carefully fold in the sides and roll it like you would when making a wrap. The trick is to roll it tightly enough so that it doesn't unravel while cooking, but not too tightly since the millet or rice needs room to expand as it cooks. Remove from heat and let cool uncovered. Transfer to a dish, garnish with lemon slices and enjoy warm! 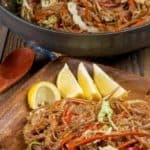 Pancit Bihon is a fried rice noodle and pork dish that is super quick and easy to make. 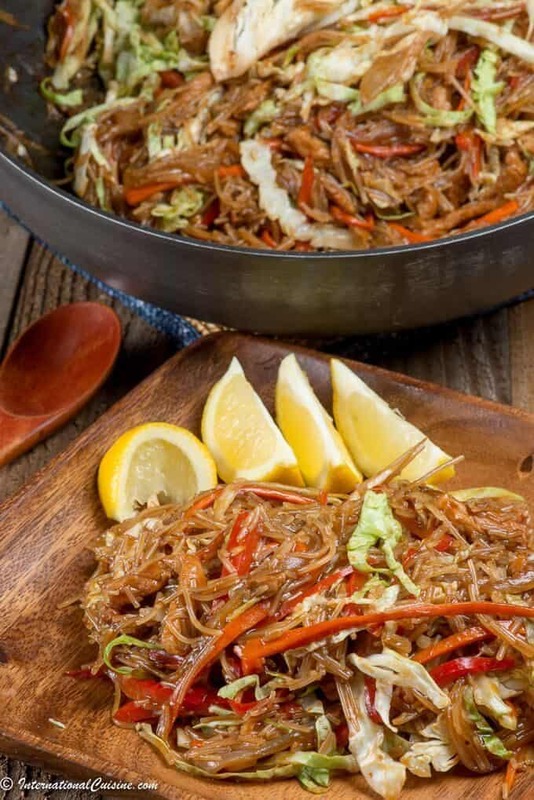 Pancit are noodles and were likely introduced by the Chinese settlers in Filipino archipelago. Over the centuries the Filipinos have adopted these noodles as there own and are seen in numerous dishes. The beauty of this dish is that comes together really quick and is a wonderful way to use up any left over ingredients you have on hand. Feel free to add whatever you like you can use any type of protein shrimp, chicken, beef etc. and an array of vegetables. It is the flavoring of soy and fish sauce along with the rice noodles that make it an authentic pancit bihon. 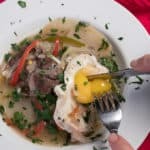 Typically this dish would be served with a fruit called calamansi which is similar to a lime or lemon and adds a tartness to the dish that balances out the flavors perfectly. I used lemon as I could not find the Filipino fruit here. This fried noodle dish called pancit is very common in Filipino cuisine right after rice which is literally served with every meal. This recipe can easily be made Plant Paradox compliant by eliminating the red peppers and using coconut aminos instead of soy sauce. Which ever way you make it fair warning you need to constantly stir or the noodles stick very quickly together or to the pan. Did you know that the Philippines is the only country in the world that hangs their flag upside down when they are at war? Be sure to check out “Our Journey to the Philippines” to learn more about the nation made up of over 7000 islands. We served this pancit dish family style along with their famous chicken adobo that just may be the best chicken I have ever tasted. This pancit bihon recipe is a classic Filipino dish that comes together in a jiffy. It is totally flexible just use whatever protein and veggies you have on hand. Rinse pancit bihon (rice noodles) with tap water. Drain. Set aside. Heat oil in a large skillet. Stir-fry pork slices until cooked through. Season with fish sauce, soy sauce and salt, pepper to taste. Add cabbage leaves and then turn off the heat. Mix well. Be sure to keep stirring after you add the noodles, they tend to get very sticky otherwise. 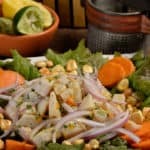 Peruvian ceviche is one of my all time favorites and the national dish of Peru. 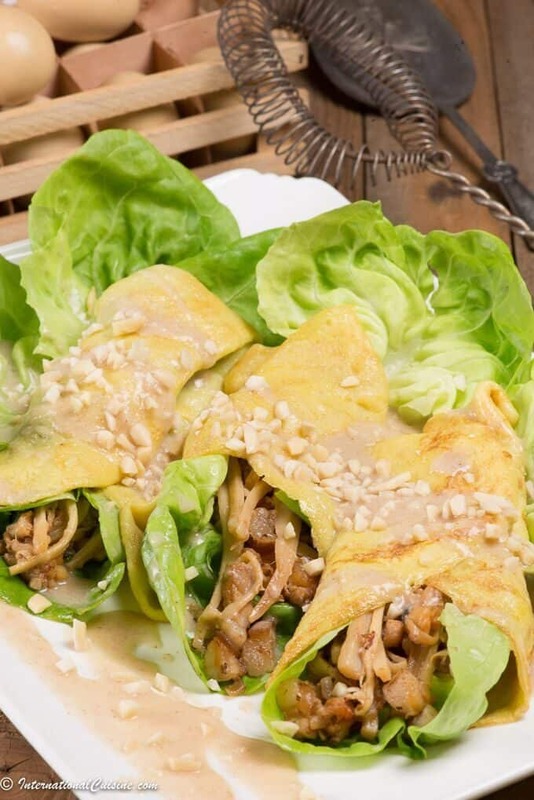 It is different, as it is typically served on lettuce leaves with sweet potatoes and crunchy toasted corn kernels. Of course it is flavored with aji chilies which are famous in Peru. I made this one with sea bass but any firm white fish like sole, flounder, shark and even shrimp will work beautifully and still be authentic. Like all ceviche’s the fish is “cooked” with the acid from the citrus. 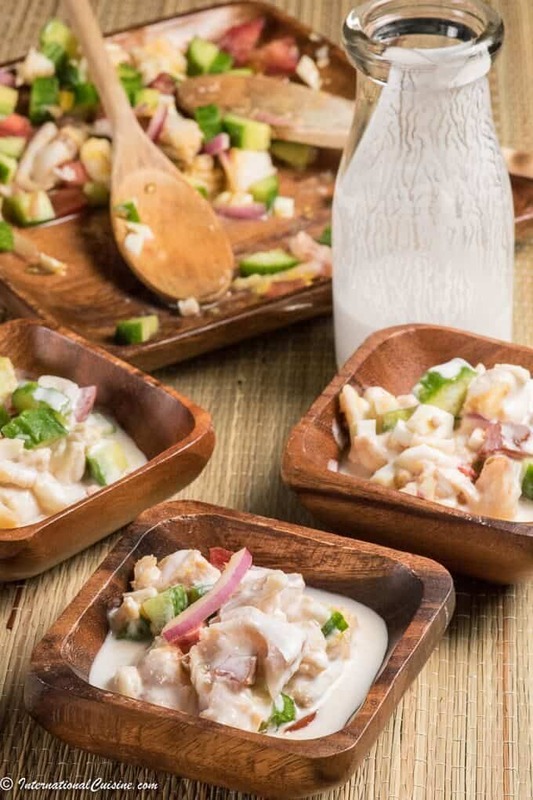 In Peru, there are little shops and carts all over the coastal area called cevicherias where you can get your Peruvian ceviche fix .The Peruvians take their ceviche so seriously there is actually a national holiday for their beloved ceviche. 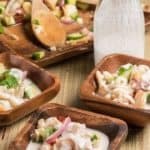 June 28th of each year has been deemed National Ceviche Day. They also serve the citrusy marinade in a separate shot glass usually before the ceviche comes out, and it is called leche de tigre or tiger’s milk. This invigorating potion is also known to be a hangover cure and aphrodisiac. This recipe is easy and scrumptious. If you would like to make this recipe Plant Paradox compliant simply eliminate the toasted corn kernels (which you could substitute toasted sorghum) and make sure to use peeled and seeded aji chilies or eliminate if not in phase 3. 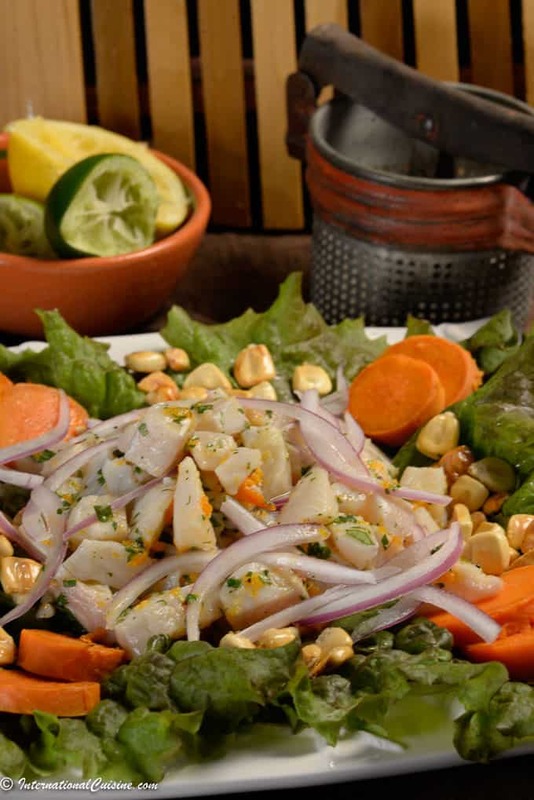 Did you know that Peru has an annual Ceviche Day each June 28th? 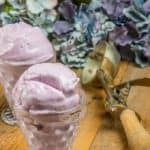 Make this and see why! Place fish in a non-reactive bowl and add 3 cups of chilled water to the fish and rinse gently. Drain water. Add onions to soak in remaining 1 cup of chilled water and set aside. Place aji, garlic, and pinch of salt in a mortar and pestle Grind to make a paste. Combine fish, lime and lemon juices, aji and garlic paste, salt and pepper and cilantro. Let marinade for at least 10 minutes. Meanwhile toast the corn kernels on the stove in a tablespoon of oil. They will pop slightly when they are toasted. Place on a paper towel to remove excess oil and add salt to taste. On a platter, place the lettuce leaves on the bottom, top with the ceviche,(reserve the marinade) add on the onion slices and serve with the sweet potatoes and corn kernels. 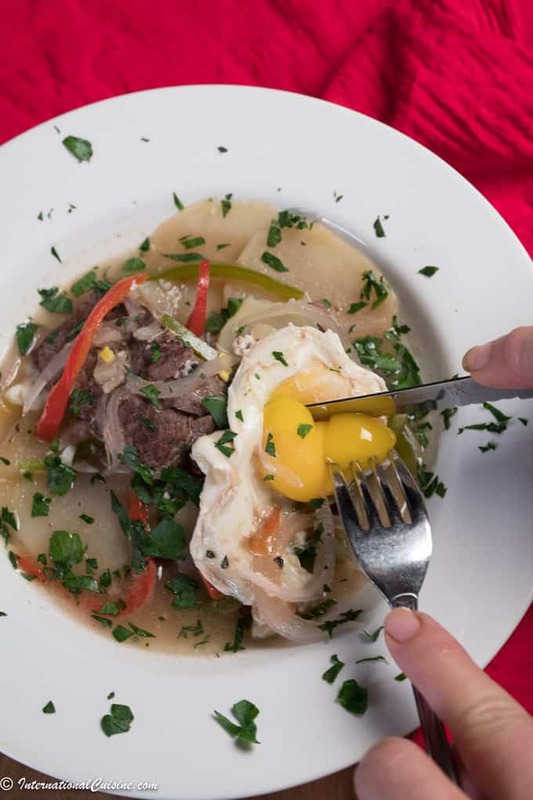 Serve the marinade in a shot glass along with the ceviche, in Peru it is called leche de Tigre and is believed to be an aphrodisiac and a hangover cure. 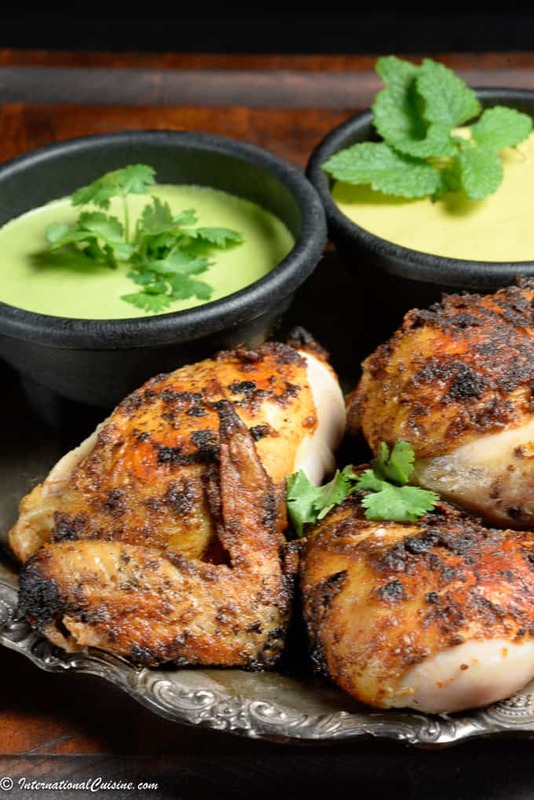 Peruvian Pollo a la Brasa may be one of Peru’s most loved dishes. The chicken that is split roasted is gently seasoned with cumin, paprika, garlic, pepper a bit of oil and vinegar. 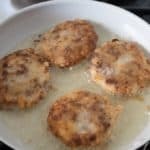 I think it just may be the vinegar that makes this chicken so tender and delicious as well as the way it is prepared to cook evenly on the grill. This Peruvian pollo a la brasa could also be cooked on a rotisserie however cooking it spatchcock or split comes out beautifully. Sometimes whole chickens can be intimidating but the truth is you can save a bundle purchasing chicken whole as opposed to cut up pieces. Obviously if you are cooking Plant Paradox you will want to use a pastured chicken for this recipe. Cooking it spatchcock literally cuts down the cooking time in half because everything lays flat. To prepare the chicken all you need is good pair of kitchen shears. You place the chicken breast side down with the legs toward you. Using your shears simply cut up along each side of the backbone. You will be cutting through the ribs as you go along. Next you will ope the chicken out and turn it over, using the heel of your hand press down so that it flattens out and is one thickness. You can put skewers through the thick part of the chicken to help you flip it and manipulate it on the grill. Did you know that you can swim with pink dolphins in Peru? Be sure to check out “Our Journey to Peru”, to learn more about this amazing county plus get more awesome recipes. 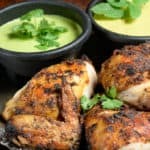 Peruvian Pollo a la Brasa is a scrumptious recipe but be sure to make the two Peruvian sauces to go with it, they are phenomenal and why Peruvian cuisine is world renown. Place the chicken on a large cutting board, breast side down. Using sharp kitchen shears, remove backbone by cutting along either side of it. Turn chicken over and lay out flat. Press firmly on breast to flatten chicken. For added stability, run a metal or wooden skewer horizontally through chicken, entering through one thigh, going through both breast halves, and exiting through other thigh. Combine salt, cumin, paprika, pepper, garlic, vinegar, and oil in a small bowl. Spread mixture evenly over all surfaces of chicken. Heat your grill to medium high heat or charcoal works great too. grill grates. Cover and cook until skin is crisp and an instant-read thermometer inserted into thickest part of breast registers 145 to150 F, about 10 minutes longer. If chicken threatens to burn before temperature is achieved, carefully slide to cooler side of grill, cover, and continue to cook until done. Transfer chicken to a cutting board and allow to rest for 5 to 10 minutes. Carve and serve with sauce. Paraguayan tortillas called Payagua mescada is a hearty deep fried fritter that is often served as a meal by itself. It is believed that it originated after the triple alliance war back in the late 1800’s. Food was scarce and so one dish hearty meals became popular. Although this is called a tortilla, it is not what most people consider a tortilla. It is more like the Spanish tortilla which makes sense since Paraguay gained independence from Spain in 1811. Paraguayan tortillas are also called lampreado or lambreado. We had it as the starter for our International Cuisine meal and it did not disappoint. 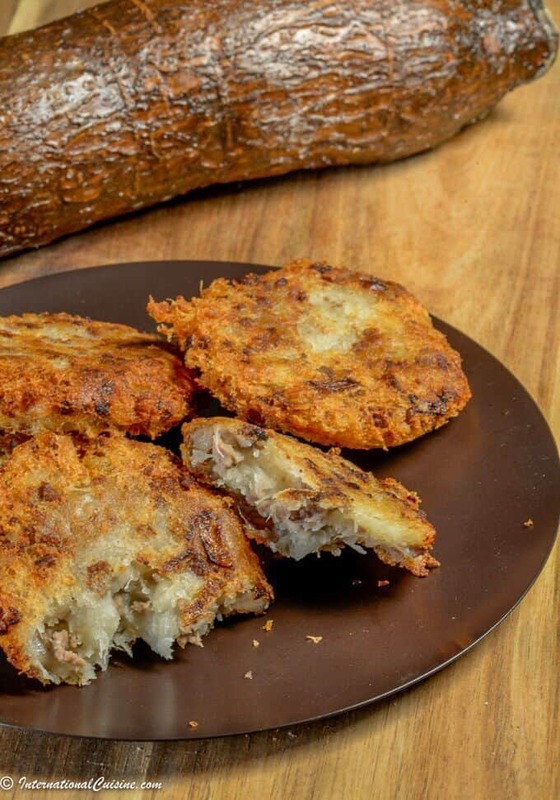 What is not to love about meat, onions and yuca fried together to make a fritter? Mandioca is what yuca or cassava is called in Paraguay. It is a staple ingredient as it is indigenous there. Mandioca is served with literally every meal in one form or another. It is considered a resistant starch, it is filling and is used the same way potatoes are in many other countries in the world. 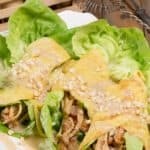 If you want to make this recipe plant paradox friendly, simply use grass fed ground beef, arrowroot starch instead of cornstarch and avocado oil for frying. 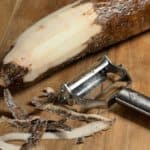 Yuca, aka mandioc, or cassava is high is carbohydrates with a low glycemic index. It is naturally gluten free. It also contains saponins to help ease inflammation and balance your gut flora and minerals that perform numerous important functions in the body. Did you know that Paraguay is a landlocked country but has a navy? If you would like to learn more, be sure to check out “Our Journey to Paraguay“. 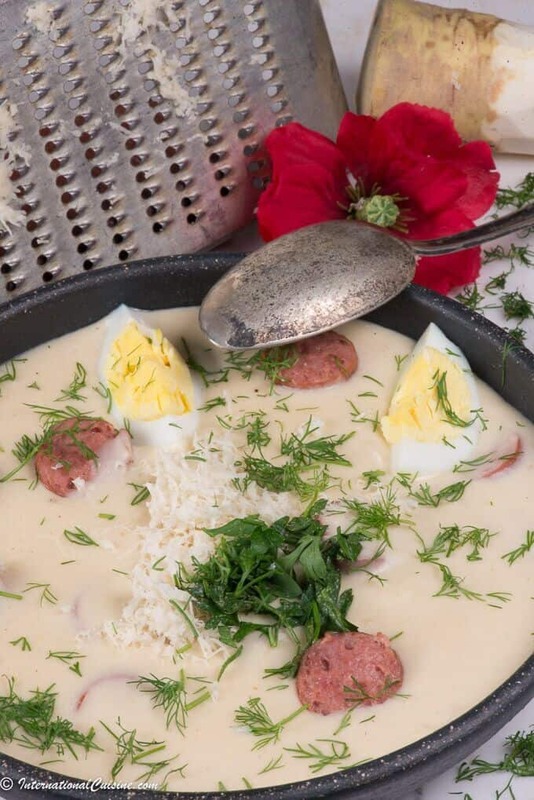 there you can also find more delicious and authentic Paraguay recipes. 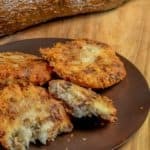 Paraguayan tortillas are a hearty fritter made with meat, yuca and onions. If you would like to make this Plant paradox friendly use grass fed beef, arrowroot starch instead of cornstarch and avocado oil for frying. 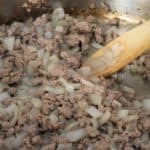 Meanwhile, in a saucepan cook the ground beef and onion over medium heat until the meat is browned and onion is soft, about 5 to 10 minutes. Drain the cassava and mash into a puree. Add the mashed cassava into the ground beef mixture. Add in the garlic, salt, cumin and cornstarch and mix well. With wet hands form little patties, the size of small hamburgers. Heat oil in a large skillet, over medium heat fry the tortillas until golden brown, flip over and fry on the other side until golden brown as well. Remove from oil and place on a paper towel to remove any excess oil.